The term “cognitive” is essentially referring to cognition and intelligence. But what does cognitive have anything to do with advertising? Is it possible to earn money directly with an online ad? 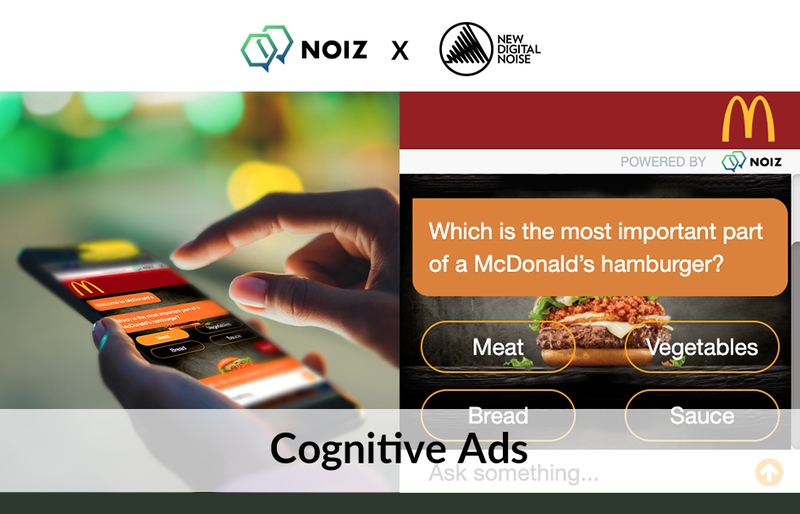 Here are a few showcases to understand the buzzword of the day: Cognitive ads. The competition among traditional advertisers is tremendous – coming up with endless creative approaches to push their products or services to the audience. Now, imagine an ad robot capable of communicating with potential customers on its own, learning their consumption habits and interests, and eventually catering to their specific needs with your products or services. That is what cognitive ads, an AI chatbot banner ad, can do for your business. Last year, Orbis, an international humanitarian NGO launched a cognitive ad campaign for its Moonwalkers annual fundraising event, with the conversational data all stored on blockchain for future references. Blue, Hong Kong’s first digital life insurance company also launched a cognitive ad to grow their initial fan base, achieving triple engagement compared to traditional banner ads. Both clients successfully boosted traffic to their websites and most of all, they collected valuable customer data and meaningful insights on customer behaviour. In the long run, a database from users interactions will be continually growing, which helps the AI chatbot to train its conversational abilities and differentiate between spambots and human beings. It can also classify consumer responses and engagement for a comprehensive understanding of your target audience. Instead of mastering a one-way lecture to sell your products, now you can make it a two-way dialogue and find the missing piece to each customer’s puzzle. Let’s get down to business: conversion rates and ROIs. Aside from brand engagement, a cognitive ad itself is a channel for cross-selling, up-selling and closing the sale. Brands can introduce e-commerce elements such as lead generation, survey and on-the-spot purchase to their own cognitive ad. The conversion funnel will be shortened, with the most relevant products or services offered to your target audience at the right time. Today you might still brag about clicks or impressions, but closing the deal is the real talk here. Money-making ad tools powered by technological breakthroughs are what businesses shall aim for. Have a chat with us to find out the unique digital solution to help your business grow.